February 12, 2019 (Springdale, Arkansas) – Legendary CCM entertainer John Schlitt is back at Christian radio with the rock vocalist’s first new music since 2013 with “Fighting the Fight,” a single co-written by Schlitt and Ryan Horn. The single, out today, is being serviced to Christian AC radio through A-Sides Radio Promotion. For more information about the single, contact jeff@asidesradiopromotion.com. 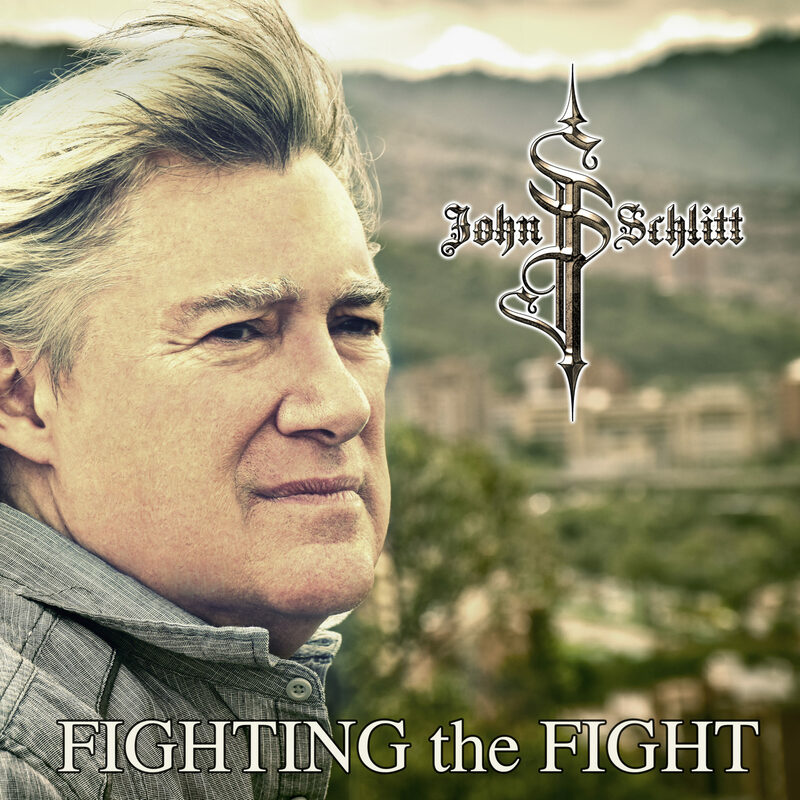 “Fighting the Fight,” produced by John Lawry for 4K Records, features Schlitt’s signature vocals paired with authentic lyrics, all wrapped up with melodic instrumentation. Schlitt, best known as the lead singer for Grammy Award-winning Christian band Petra, currently records and tours as a solo artist, as well with The Union of Sinners and Saints, a band featuring Schlitt, former Whiteheart member Billy Smiley and Jason Fowler. Schlitt also brings his lead vocalist talent to The Jay Sekulow Band, a seven-piece ensemble featuring Jay Sekulow, chief counsel for the American Center for Law & Justice and host of his own radio and talk shows. Other band members include Schlitt, John Elefante, Scott Kirkman, Marco Pangallo and Mark Lee Townsend. The group, with a popular following on social media, performs live concerts, as well as records videos. With a career that spans more than four decades, Schlitt first rose to success as the lead singer for popular 70s rock band Head East. Fired from Head East in 1980 because of his alcohol and drug addiction, Schlitt left music behind for five years. It was during that time that the singer was led to Christ through the witness of his wife, Dorla, and their pastor, a decision that also led to Schlitt leaving behind his addiction. Schlitt officially joined Petra in 1986, bringing his unique sound to a band that, during Schlitt’s tenure as lead vocalist, would earn 10 Dove Awards and four Grammys. With a popularity that spans the globe, Schlitt continues a busy schedule that includes touring internationally, as well as appearing on shows, such as “The Mike Huckabee Show,” TBN’s “Praise” and “700 Club Interactive.” His last full length solo CD, “The Christmas Project,” was released in 2013. To learn more about Schlitt, visit johnwschlitt.com, like him on Facebook and follow on Twitter and Instagram.